Saint Kitts and Nevis is a beautiful island country in the West Indies. The two-island country offers a plethora of activities to engage your body and rich history to engage your mind. Saint Kitts and Nevis were among the first islands settled by Europeans. The local culture is mellow, friendly and welcoming. The country combines verve and excitement of a tourist destination with pristine beauteous beaches and grand verdant mountain peaks. The Government of St. Kitts and Nevis presents the most long-standing Citizenship-by-Investment Program of its kind. Established in 1984, this program allows qualified investors and their family members to receive second citizenship and St. Kitts and Nevis passport within a reasonable amount of time, and experience visa-free or visa-on-arrival access to 152 countries and territories. WHY CHOOSE ST. KITTS AND NEVIS FOR CITIZENSHIP BY INVESTMENT? St. Kitts and Nevis recognize dual citizenship, therefore you can still benefit from your current citizenship status. 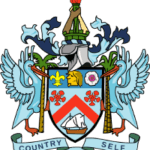 HOW TO QUALIFY FOR CITIZENSHIP OF ST. KITTS AND NEVIS THROUGH INVESTMENT? There are two investment options available to potential citizens. The first one is contribution to Sustainable Growth Fund (SGF). A single applicant is required to contribute US 150,000, a main applicant with up to three dependents – up to US 195,000. Additional dependents regardless of age must invest US 10,000. This is a non-refundable contribution and, technically, is not an investment as such. After the application is submitted, an applicant must also pay due diligence and processing fees – US 7,500 for the main applicant, and US 4,000 for each dependent over 16 years of age. The second investment option is investment in a pre-approved real estate project, including hotel shares, villas and condominium units. The minimum real estate investment is US 200,000 (and you may sell it in 7 years) or US 400,000 (and you may sell it in 5 years) for each main applicant. Dependent of the main applicant regardless of age: US 10,050. If you are going for the real estate option, be also aware of additional purchase costs (mostly insurance fund contribution and conveyance fees).